As you prepare to matriculate, financial concerns are front and center. It doesn’t take a great deal of digging to uncover the Federal Government as one of the biggest players in the student aid arena. But did you know that your state is also a valuable resource for college funding? States work with colleges and universities, alongside the U.S. Department of Education, to provide a blend of financial assistance for students at all levels. Grants, scholarships and loans originate from within you state, as well as work-study opportunities that allow you to earn as you learn. Property taxes and lottery funds are used by states to finance student aid. Most grants apply to in-state schools, but some opportunities allow you to use financial aid from your home state to pay your out-of-state tuition. While the landscape might seem intimidating at first, your student aid strategy is simple. First and foremost: Apply for Federal Financial Aid using the standardized Free Application for Federal Student Aid (FAFSA). Information you provide on your FAFSA helps tabulate the cost of your education, and estimates your ability to pay for college. Some states use your FAFSA and your Estimated Family Contribution (EFC) to determine your eligibility for state financial aid. Other states require additional documentation, and deadlines are not always the same. Your state’s FAFSA filing deadline might be earlier than the federal requirement, so consult with your financial aid office or guidance counselor for specifics. Certain state financial aid is administered on a first come, first served basis, until funding runs out. Submitting the proper application materials on-time can be the difference between securing a state grant and coming up short. 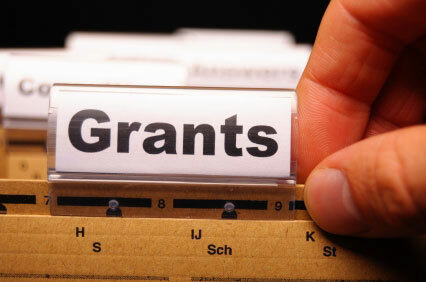 States issue grants directly to students, but institutional grants are also given to colleges and universities. These grants help schools offset education costs for individuals too, so it’s a win/win for students, but to pay your college bills you’re looking for direct financial aid that can be applied to your tuition. Before you move on to your own state page, consider the different types of grants you’ll encounter as you assemble your personal financial aid package. If you qualify for financial aid at the federal level, there is a good chance you are in line for similar treatment from your home state. The Federal Pell Grant Program is an iconic tuition initiative that provides financial needy students with college money that doesn’t require repayment. States run similar programs, so if you’re eligible for a Pell Grant, you might also qualify for state grant money. States issue need-based grants to students who need help paying for school. If your EFC is low, and your federal financial aid doesn’t cover your tuition, state grants boost your college fund when you need it most. For instance, Minnesota Office of Higher Education provides state grants to low and moderate income students, with nearly 80% of funds distributed to students with family incomes below 50K/year. Merit-based grants and scholarships are issued to recognize exemplary performance. Stand-out athletes receive grant money for school, to reward them for their successes on the field. Academic grants go to students whose classroom achievements set them apart from their contemporaries. Some grants are hybrid types that require you to demonstrate financial hardship, but also to maintain a certain GPA during school. As you search for college funding, keep in mind that it may be a combination of personal attributes that makes you eligible for a particular grant or scholarship. Consider the unique populations you belong to, and look beyond general state aid, to the grant programs that reward people just like you. State-funded grants for minorities promote educational diversity and increase access to college for traditionally under-represented groups. Grants for ethnic minorities—African American, Hispanic, Asian, and Native American students—target specific groups needing college cash. For example, Wisconsin’s Minority Undergraduate Retention Grant disburses funds to second, third and fourth-year minority students pursuing college degrees or vocational training. Grants for women provide critical funding for newly enrolled students, and for those women who are returning to college to complete a degree program. Low-income and disadvantaged students qualify for general need-based aid in most states that offer it, but specific funding is also set aside for students whose access to education is severely limited by social and financial conditions. Exceptional hardship is calculated differently in each state, but the students whose circumstances present the greatest educational obstacles are the first to be considered for state grants. Students pursuing high-need fields of study, like nursing, teaching and STEM subjects may get assistance from state governments. Nursing and teaching grants are issued by states, in return for service obligations that require participants to work in under-served areas. By committing to work as a teacher or nurse within your state, for a period of two to four years, you might receive tuition abatement that amounts to a free ride through college. If you don’t follow through on your end of the service agreement, your grant becomes a loan that you must repay-with interest. In many states, Veterans and National Guard members enjoy generous grants for college. Indiana National Guard members are eligible to have 100% of certain college tuition costs forgiven, provided they are enrolled full time in qualified state degree programs. Students with disabilities qualify for state college grants. If you belong to a unique student population, it is important to consult with your school’s financial aid office for help finding funds. In addition to state money, individual universities offer grants for disabled students. Foster care youth are targeted for college aid through state grants that increase access to higher education for this group of students. The California Student Aid Commission’s Cal Grant Program supports California higher education by granting funds for college. The far-reaching effort subsidizes tuition for a majority of state students, based on a combination of financial need and academic performance. In Texas, Towards Excellence, Access and Success (TEXAS) provides tuition reimbursement for in-state students. Applicants must demonstrate financial need, and illustrate adequate preparatory work and academic motivation. Pennsylvania State Grant Program disburses funds to state applicants enrolled at least half-time in qualified two- and four-year degree programs. At least 50% of instruction must occur in classroom settings, and the program is only open to those students pursuing their first bachelor’s degree. Now that you have a handle on state grant basics, refine your search to include specific information about your state’s financial aid programs.